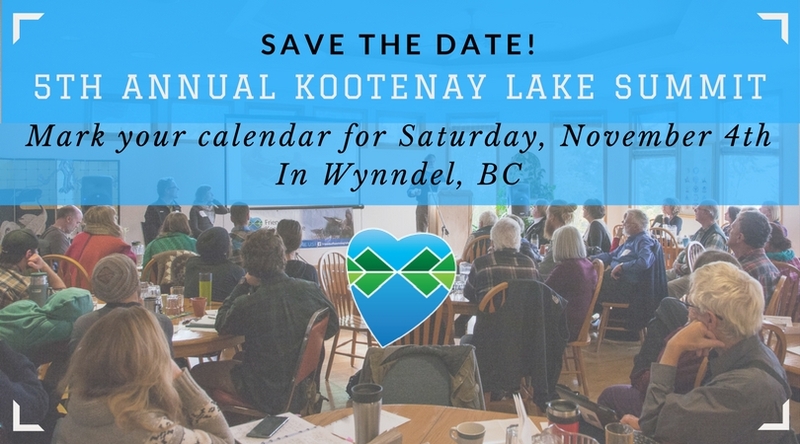 We are so excited to announce that our 5th Annual Kootenay Lake Summit is coming to Wynndel, BC (near Creston). On November 4th, join us for a full free day of amazing presentations, inspiring workshops and free coffee, snacks and lunch for everyone. Stay tuned for our final agenda and ticket release. Please note that this event has sold out in the past and to attend you must register for a ticket online (online registration will be released in early-mid October). Following the Summit on November 4th we will be hosting our AGM at the same location. If you would like to sponsor the 2017 Kootenay Lake Summit, please get in touch with the Program Manager at info@friendsofkootenaylake.ca. Please Note: We will only be sending out one more email to this email list to let you know when tickets are available. You will only continue to receive emails if you sign up as a member (FREE for a limited time). ONLY AVAILABLE FOR ANOTHER MONTH! Kootenay Lake Stewardship Society has lots of great opportunities for you to get involved! 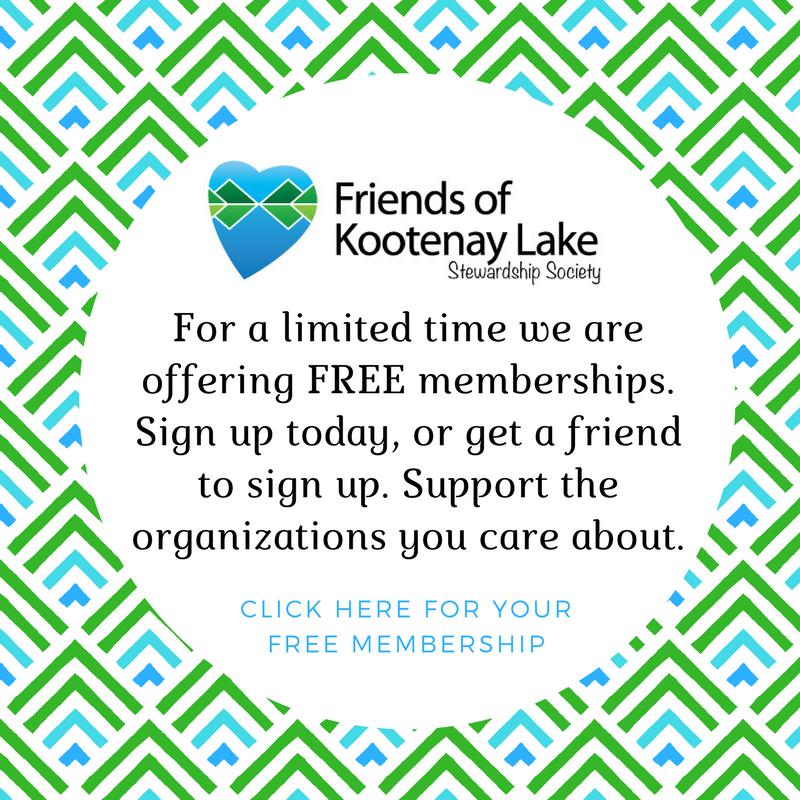 Email info@friendsofkootenaylake.ca to sign-up as a volunteer today! 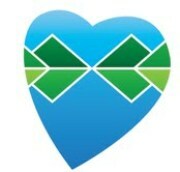 ours rely on generous donations from our communities. ANY MORE QUESTIONS, COMMENTS OR FEEDBACK?